Stay tuned for upcoming events for Trip To Cholistan Jeep Rally in near future. Trip To Cholistan Jeep Rally is an adventure for people who like to visit a desert. 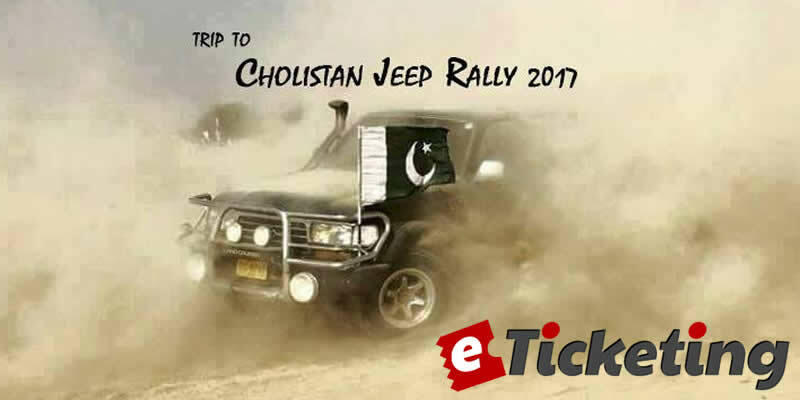 2 Day Tour To Cholistan Desert Jeep Rally 2017 will take place on 10 and 11 February 2017. It is being organized by North Explorers, a private adventure company which tends to motivate the people to explore the natural beauty of Pakistan. Dear explorers it is a two day Journey (Feb 10 - Feb 11) with Tour Cost from Lahore being Rs. 5500 only each. *Note: There can be Change in Plan occur due to naturally occurring events. *Note: In case of any Change in tour Plan, it can result in the change of cost. 30% of the total amount should be paid before to Reserve your seat. North Explorers is a voluntary body being operated by a group of outdoor passionate persons having experience in hiking, camping, trekking and outdoor activities. North Explorers design treks and tours keeping in view the affording capacity of every class. Most of the tours will be very economical but equipped with best level of services. Terms & Conditions : North Explorers reserves the right of admission to the event and venue. Best Viewed at 1024 x 768 pixels and above. This Page loaded in 0.09412 seconds on Tue, Apr 23, 2019 (13:12).